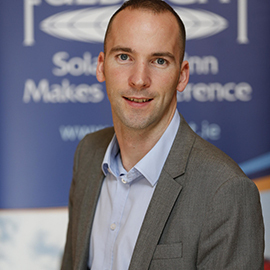 Dr Luke Geever is a Senior Research Fellow at Athlone Institute of Technology, leading one of Ireland’s largest polymer research groups. 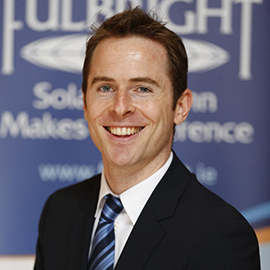 As a 2015-2016 Fulbright-Enterprise Ireland Scholar at Harvard Medical School and the Mayo Clinic, Luke undertook collaborative research with world leading experts while exploring the Clinical Applications of Novel Biomedical Polymers. Trina Rea is a Course Director in the BSc in TV & Media in the Department of Aerospace, Mechanical & Electronic Engineering at IT Carlow. As a Fulbright-TechImpact Scholar to New York University in 2017-2018, she evaluated news habits of the first generation of digital natives and how those habits affected digital news organisations’ editorial choices, packaging and delivery of news. Nicholas O’Halloran is a Lecturer in Piano at the CIT Cork School of Music. 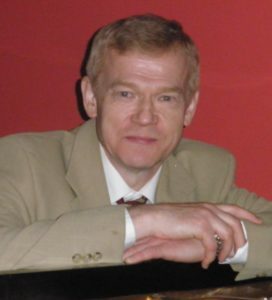 A mathematics graduate of University College Cork, his Fulbright award took him to the University of Cincinnati in 1981 where he completed a Master of Music in Piano Performance. He is Chairman of the Crawford Art Gallery Summer Lunchtime Concert Series in Cork and pursues an active career as a performer. 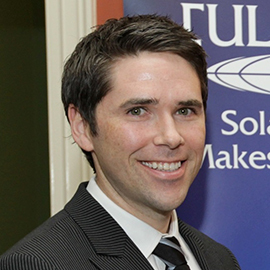 Dr Donal Fitzpatrick is a lecturer (Assistant Professor) in the School of Computing, DCU. His research focuses on Human Computer Interaction, with particular emphasis on the development of software which is accessible for users with, and without, disabilities. He is a former recipient of the Chancellor's Medal, which is DCU's highest award for outstanding contribution to the scholarly and extracurricular life of the university. He received his Fulbright award in 2000, and spent the subsequent academic year at Florida State University investigating how maps and other diagrammatic data could be made accessible for blind people. 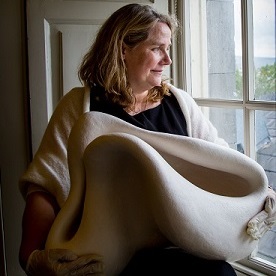 Katharine lectures in Ceramics, Contemporary Art and Industrial Design at the Centre for Creative Arts and Media at GMIT and makes work from her studio in Roscahill, Co. Galway. She is a graduate of the NCAD, The School of Decorative Arts, Strasbourg, and the New York State College of Ceramics at Alfred University, USA and was a Fulbright Awardee to NYSCC at Alfred Univerity, USA in 1988. She is a member of the International Academy of Ceramics. 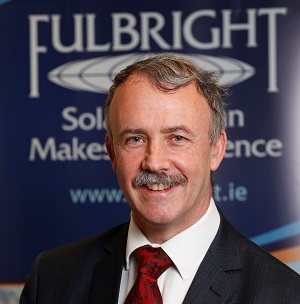 Principal Investigator AIBIDS at AR Glass and Lecturer at the Department of Mechanical & Automobile Engineering, Limerick Institute of Technology, Daragh was LIT’s first Fulbright Scholar. During his 2012-2013 Fulbright Award to Northeastern University in Boston Massachusetts, he undertook research in the area of materials science as well as developing the concept of signature pedagogy for undergraduate engineers. 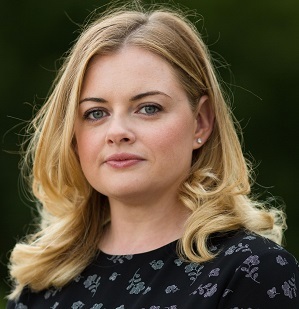 Madeleine Ni Ghallchobhair is an Assistant Lecturer in Education at Marino Institute of Education. She is a graduate of the UCD Masters in Irish and Communications and was a Fulbright Foreign Language Teaching Assistant to Lehman College, New York in 2011. A graduate of Mary Immaculate College B.A. in Irish and English, Vicky Brady completed a Masters in Irish in 2011, and is currently a PhD candidate and tutor at MIC. She completed a Fulbright Foreign Language Teaching Assistant Award Assistant to Villanova University, Philadelphia in 2016-2017. Dr Catherine Leen is a Senior Lecturer and Head of Spanish and Latin American Studies at Maynooth University. Her teaching and research interests centre on Mexican and Chicana/o literature and cinema, as well as Argentine and Paraguayan literature and visual cultures. She has published widely on Chicana/o writers and on Chicana/o and Latin American cinematographers. In 2008, she received a Fulbright Scholarship to conduct research at the Chicana/o Studies Centre at the University of California, Santa Barbara. She is currently completing a monograph on Latina/o filmmakers and Mexico. Dr Rachel ODwyer is a Lecturer in Digital Culture at NCAD. Her recent research focuses on emerging markets at the intersection of digital money and digital networks. 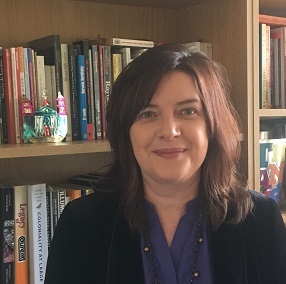 She is the leader of the Dublin Art and Technology Association and a member of the Orthogonal Research Methods Group in TCD, which focuses on building creative strategies at the intersection of technology and the arts. As a 2018-2019 Fulbright-TechImpact Scholar to University of California, Rachel focused on how blockchain technologies are transforming the creative and cultural industries. Dr Ruth Melia is a Senior Clinical Psychologist specialized in working with children and young people. 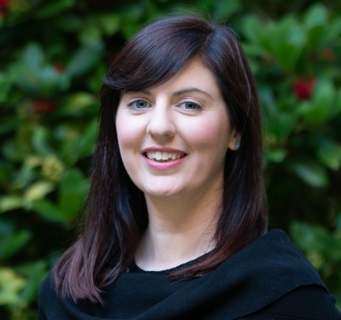 She is an Adjunct Lecturer in Clinical Psychology at NUI Galway, and works on a collaborative research project with colleagues in Computer Science and Psychology Departments at NUIG, alongside clinicians and policy makers on the use of mobile health technology in suicide prevention and mental health. She was a 2016 Fulbright Scholar at the Suicide Prevention Research Laboratory at Stanford University, and continues to research with her colleagues there. 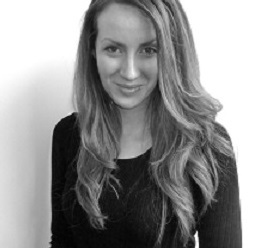 Ms Roisin Hyde is a PhD Student at QUB School of Natural & Built Environment. 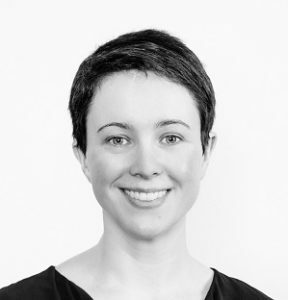 She has a Bachelor of Architecture from UCD and is a Chartered Member of the RIAI. Her research focuses on the development of a high-performance, low-impact, cement-free geopolymer concrete cladding panel through the use of innovative automated technologies. As a 2018 Fulbright Awardee she will work with Researchers at UNCC. 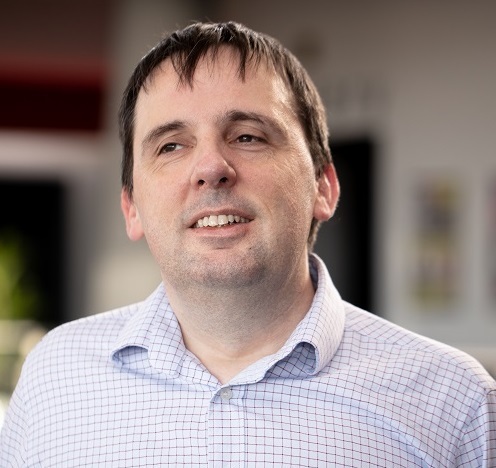 Oran Kennedy is a StAR Research Lecturer in the Department of Anatomy at RCSI, and runs a multidisciplinary musculoskeletal mechanobiology research group. He completed a Fulbright Scholarship in 2009, during which he carried out postdoctoral research in bone mechanobiology and osteoporosis at the laboratory of Professor Mitch Schaffler at Mount Sinai School of Medicine, NYC. 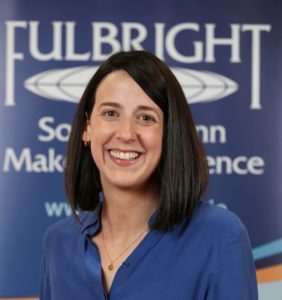 Liz O’Sullivan was one of two recipients of the Fulbright International Science and Technology PhD award for 2011. She received her PhD in Nutritional Sciences from Cornell University in 2016. She is currently an Assistant Lecturer in Nutrition within the School of Biological and Health Sciences at Technological University Dublin, Ireland. Colin Bradley is Professor of General Practice in the School of Medicine at UCC. He has a long standing research interest in improving the prescribing of medicines in general medical practice. Excessive prescribing of opioids for non-cancer pain has emerged as a major problem in the US. 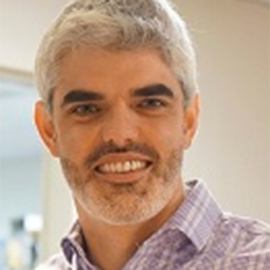 As a 2017 Fulbright-HRB HealthImpact Scholar to the University of Oklahoma he undertook research on strategies to improve opioid prescribing by primary care physicians. 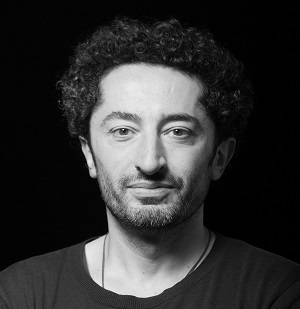 Dr Francesco Pilla is an Associate Professor in Smart Cities and Urban Environment at University College Dublin. His research focuses on understanding complex environmental phenomena to pre-empt the impacts resulting from the interactions between human population and the environment. Sponsored by the Environmental Protection Agency, Dr Pilla’s 2015 Fulbright TechImpact project at MIT focused on sensing the cyclists’ health risk related to environmental pollution, spatial constraints and interactions with other road users. 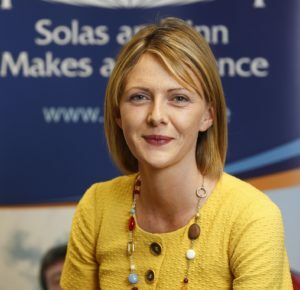 Dr Jean McCarthy is a Lecturer in Organisational Behaviour at the Kemmy Business School (KBS), University of Limerick. 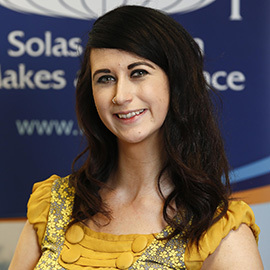 A graduate of the UL (BBS, 2006; PhD, 2011) and a former Fulbright Scholar at Colorado State University (2012-3), she researches and lectures in the areas of Organisational Behaviour, Human Resource Development, Human Resource Analytics and Research Methods within the Department of Work & Employment Studies. Her primary focus of research centres on the challenges aligned with an increasingly ageing, and age diverse, workforce, and on the social psychology of prejudice at work. She is a Global Research Associate with the Sloan Center on Aging & Work at Boston College, and co-director of the Age in the Workplace Research Network (AWR-net). 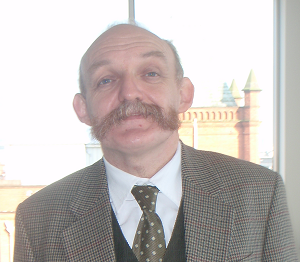 Dr Art Hughes, MA, MèsL, PhD, is a Reader in Irish at the University of Ulster. His doctoral thesis was study of the Gaelic dialect of the Bluestack Mountains, Co. Donegal. He is a prominent scholar in the field of Celtic linguistics and literature. He has also a vast experience of dealing with the Irish language in both an international and Irish context over a period of thirty years.In 2009/10 he was Senior Fulbright Irish Language Scholar at Glucksman Ireland House, New York University where he was a Visiting Professor. Also in Rennes 1992-1994. Anne is a Senior Lecturer in Professional Learning and Development at WIT. 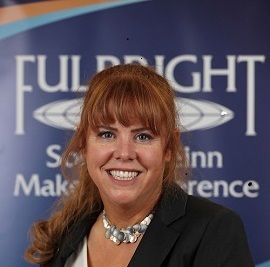 A Fulbright Scholar to University of South Florida & University of Georgia in 2014 and she has also been visiting professor to Henley Management College, UK and programme lead of the MA in Management in Education at the School of Lifelong Learning & Education. 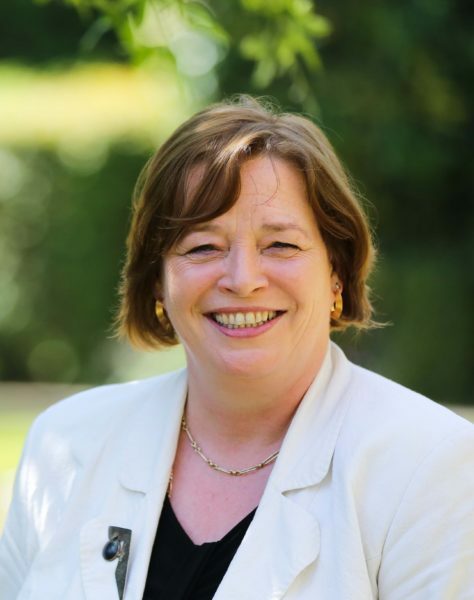 She is Membership Secretary and International Officer of IFAA (Irish Fulbright Alumni Association), a member of the Academy of Management (2011-present) and a member of the Chartered Institute of Personnel and Development (CIPD). Kevin is a Poet, Writer and Critic. He was a Fulbright Scholar from UCD to Boise State University in 2007. 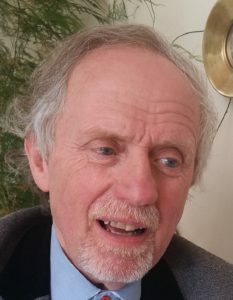 A Commentator on poetry, literature and the arts in Village: politics and culture among other publications, his books include: UCD Belfield Metaphysical: a retrospective (Lapwing, Belfast 2017); Harvard’s Patron: Jack of All Poets (2018); Quintesse (St Martin’s Press, NY); Breakfast with Sylvia (Lagan Press, Belfast). 5 Arts Council Bursary Awards; Patrick Kavanagh Fellowship Poetry; Bisto Award A Horse Called El Dorado (O’Brien Press); SOS Lusitania (O’Brien Press).